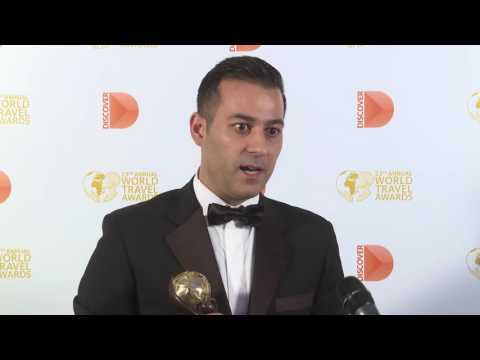 Anwar Aboul Hosn, assistant director of marketing, La Cigale, speaks to Breaking Travel News as he celebrates picking up three hotels at the World Travel Awards. 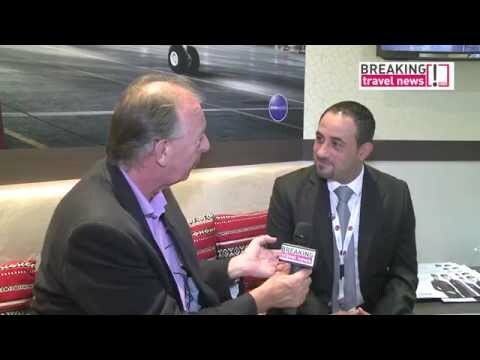 Anwar Aboul Hosn, assistant director of marketing, La Cigale Doha speaking to Breaking Travel News at the Four Seasons Resort Dubai following the World Travel Awards Middle East 2015. La Cigale Tabarka Hotel, Thalasso, Spa, & Golf Resort has welcomed the most prestigious guests to its grand Opening Ceremony. The property, which opened in late August, is new refurbished, having previously operated under the title of Tabarka Beach Hotel. La Cigale Hotel is considered one of the most esteemed hotels in Qatari capital Doha, offering an engaging blend of contemporary style and cosmopolitan ambiance. With industry leaders in Doha for the IATA AGM 2014, Breaking Travel News here explores what is on offer at this world-beating property. The host hotel for the Grand Final of the World Travel Awards in 2013 here talks to Breaking Travel News about the importance of showcasing to the ‘Best of the Best’ of their MICE facilities and showcasing what they can provide to such prestigious events. Abbas Asfoor, banquet sales manager, La Cigale, Doha here highlights the importance of the MICE market in this interview with Phil Blizzard. World Travel Awards has ended months of speculation by confirming its 20th anniversary Grand Final will be hosted by La Cigale Hotel, Doha on November 30th 2013. WTA was established in 1993, to recognise, acknowledge and reward the leading travel, tourism and hospitality organisations in the world, those companies which push the boundaries of excellence in product and service, and create groundbreaking ideas. 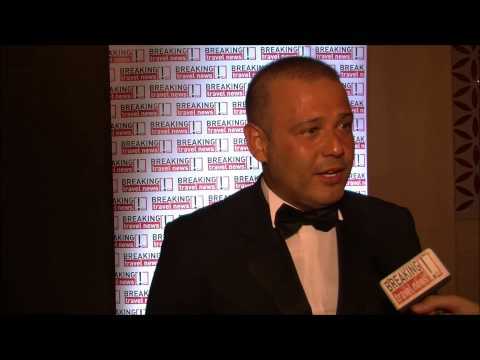 Housni El Yaman, director of sales & marketing, La Cigale talks to Breaking Travel News at the World Travel Awards Europe Gala Ceremony 2013 at the Cornelia Diamond Golf Resort & Spa in Antalya, Turkey. Muslims from across the Middle East this year celebrated Ramadan with La Cigale, where every night offered an opportunity for an unforgettable Iftar and Souhour surrounded by those they care for. On the occasion of Ramadan, La Cigale Hotel with its exclusive partner QNB, sponsors Doha Insurance and Audi and time keeper Mouawad, proudly continues one of Doha’s fine traditions: La Cigale Ramadan Tent. La Cigale Hotel, in Doha, has launched a new ‘Dining & Entertainment Festive Night’ to allow guests to experience the unique atmosphere at the property. The decision follows acknowledgment from the World Travel Awards, which recognised the hotel as ‘Qatar’s Leading Hotel’, ‘Qatar’s Leading Hotel Dining & Entertainment Experience’ and ‘Middle East’s Leading Hotel Dining & Entertainment Experience’. 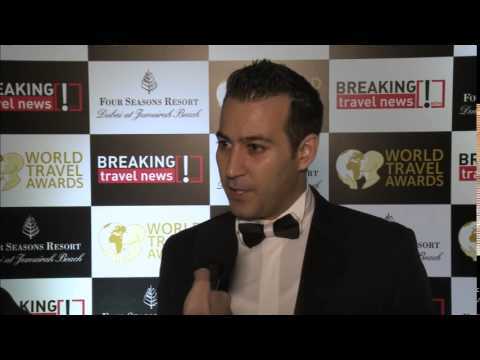 Housni El Yaman, director, sales & marketing, La Cigale Hotel, speaks to Breaking Travel News at the World Travel Awards Middle East Gala Ceremony at Le Royal Meridien Beach Resort & Spa. All the hard work has finally paid off for La Cigale Hotel, with the property, which opened in 2007, taking the World’s Ultimate Service Award in Hospitality at the World Travel Awards. Hosted by The Oberoi, Gurgaon, World Travel Awards Grand Final Gala Ceremony recognised the leading brands of the year. La Cigale Hotel has been crowned Qatar’s Leading Hotel for the second time at a Gala Ceremony organised by the World Travel Awards at Jebel Ali Resort & Spa in Dubai. A delegation from La Cigale Hotel management was present to pick up the prestigious award.